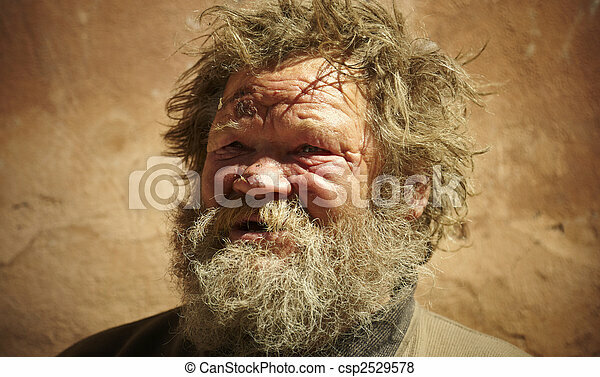 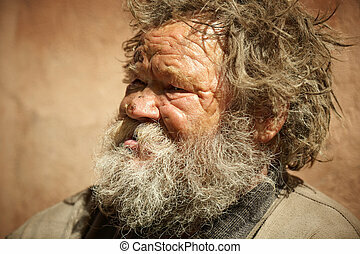 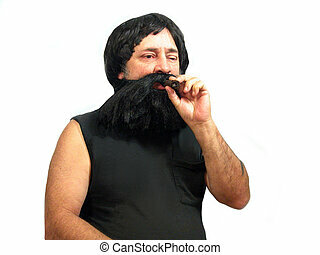 Hobo. 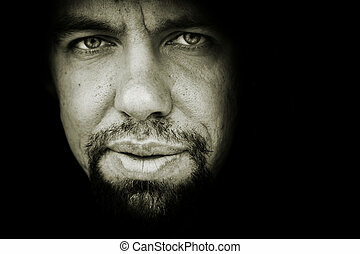 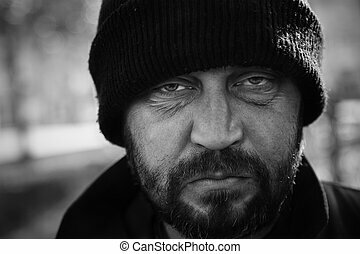 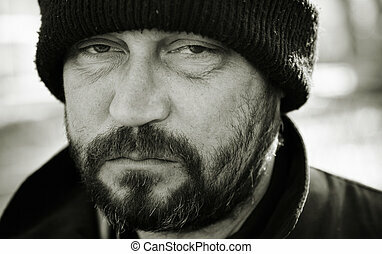 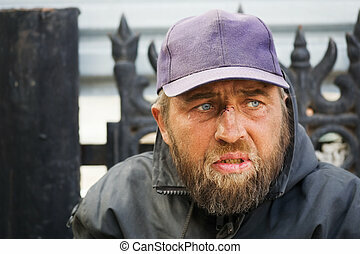 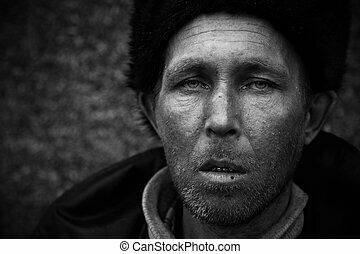 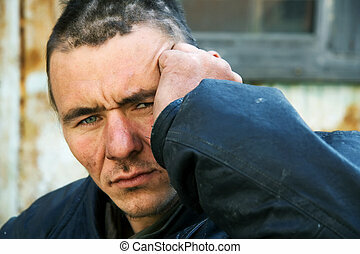 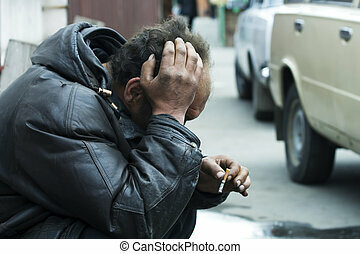 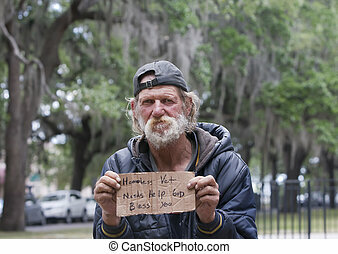 Homeless man talking about hard life, special toned photo f/x, focus point on eye. 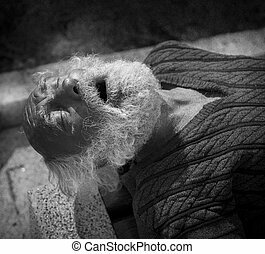 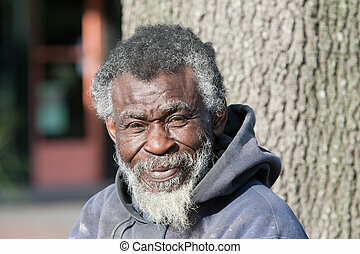 Portrait of elderly African American homeless man in black in white outdoors. 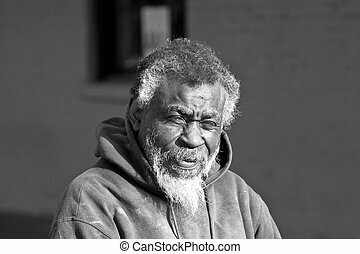 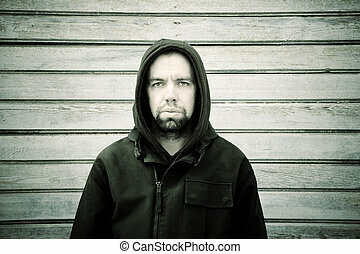 Portrait of african american homeless man in black in white outdoors. 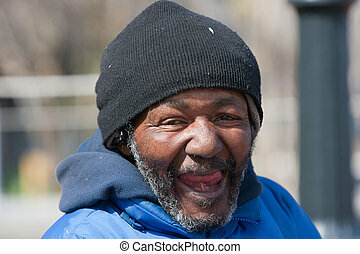 Happy and smiling homeless african american man outdoors during the day. 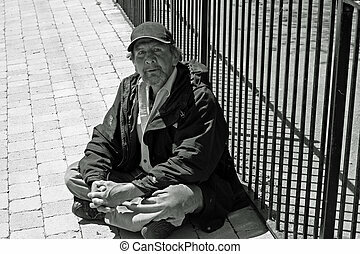 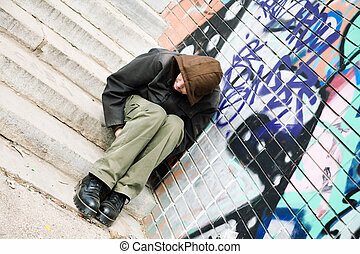 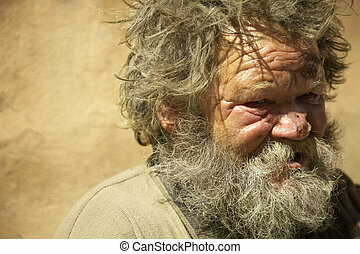 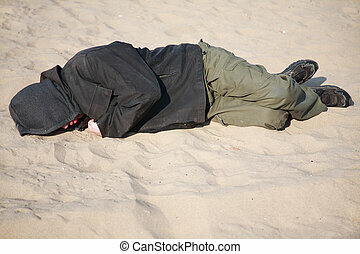 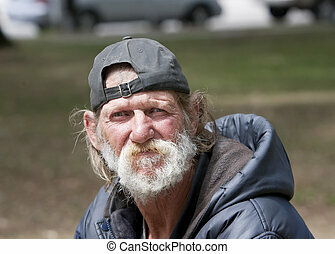 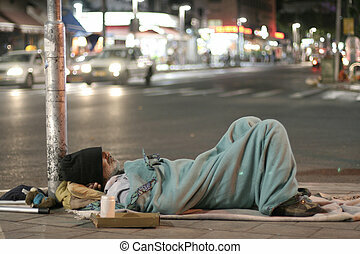 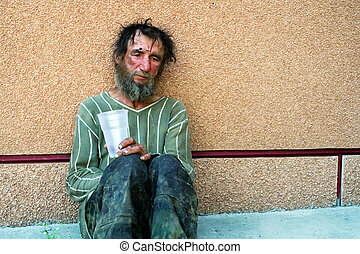 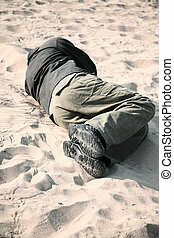 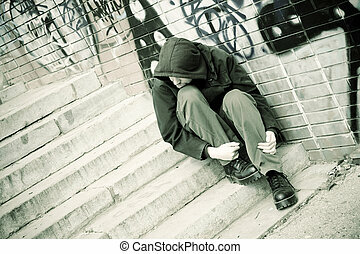 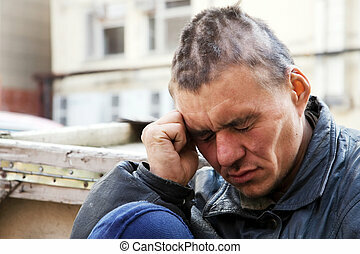 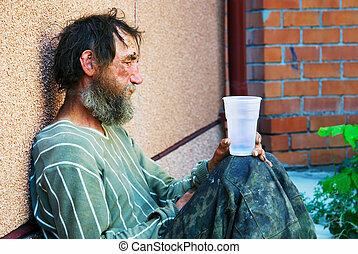 Homeless man on a city street. 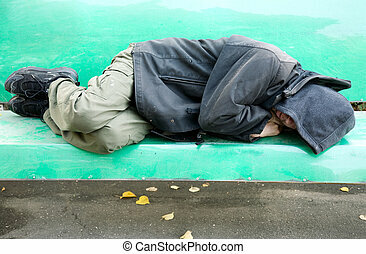 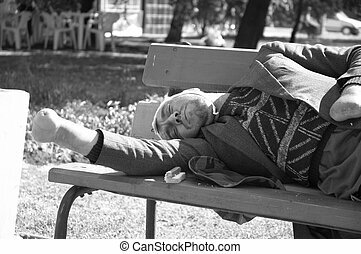 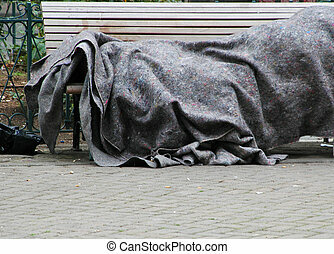 Homeless people sleeping outside in the cold on a park bench.